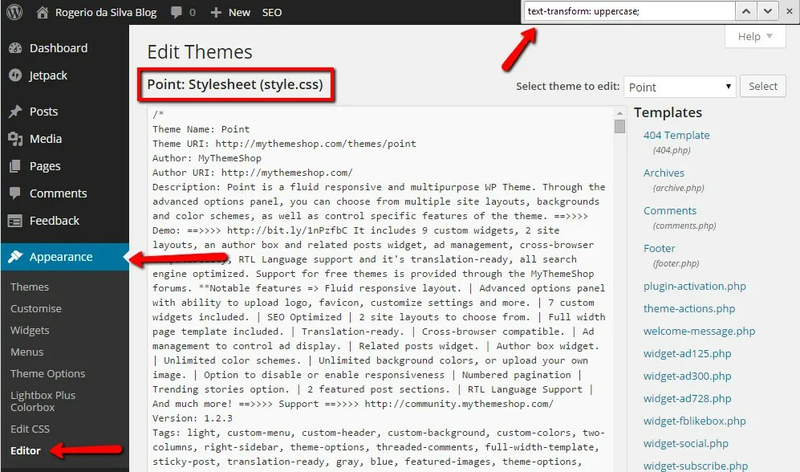 You have a template in WordPress that generate Uppercase for all your post titles and you wish to change that so all the existing posts and new posts has just the normal Upper and lower case as you type in rather than a rule for them all as uppercase. You need to have access to the admin level in WordPress. Exclude the line ‘text-transform:uppercase;‘ and save. Some times when refreshing page use the combination Ctrl + F5 to see a change made. This combination clears the cache in your browser.